Villanova fans were feeling pretty confident heading into Monday night's National Championship against the Michigan Wolverines, but then TBS aired the video of Blackthought of the legendary Roots crew rapping about Philly sports and the confidence levels went absolutely through the roof. There was homage paid to Julius Erving, Apollo Creed vs Rocky, Donte DiVincenzo and Mikal Bridges, Joel Embiid and Ben Simmons, the Eagles' recent Super Bowl victory, and much more. It was the perfect appetizer for the main meal of watching Nova put on a clinic and bring another championship back to the Philadelphia area. 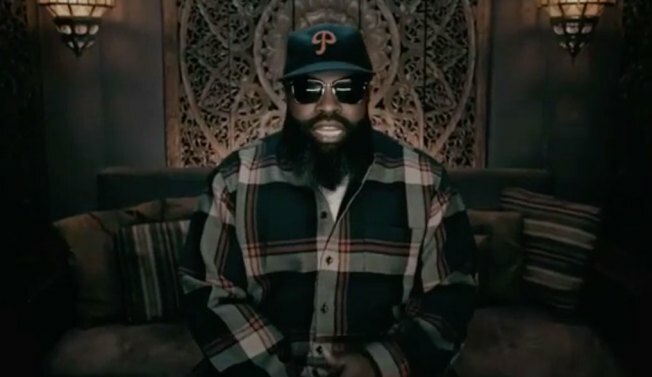 Blackthought shared the video on his Instagram and you can enjoy it again below. The NCAA also shared the entire hype video with Chadwick Boseman reppin' Michigan. He may be a Black Panther but he's no Blackthought.